Our designed waterring vacuum pumps are excellent to regulate liquid, water, gas and air moment applications in various industries. 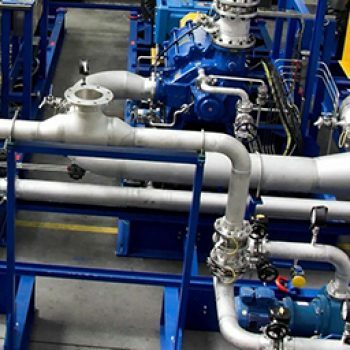 Other than liquid ring vacuum pumps, our products include, water separation systems/pumps for twin, Tri disc refiners, refiner plates/ Discs, Oil Seal High Vacuum Pumps, Twin Lobe Roots Blowers, which are very integral for factories that require a device or a machine to distill products, remediate lands or even to desalinate sea water. From small to large scale models, we are capable to meet customer needs based on our extensive experience and profound know how. If you want to have these pumps customized for your company, then there are already manufacturers that are competent to make it with your plan without even compromising its suction power. The versatility to use waterring vacuum pump as vacuum pump as well as gas compressor has gradually elevated the demand in the market to privilege the cost effectiveness. And as these Vacuum pumps and systems are one of the extensively used equipment in process plants that needs to lay down precise specifications. 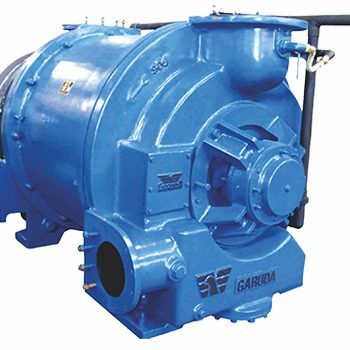 Here, Garuda is a leading name in the India and foreign countries as exemplary quality water ring vacuum pump (liquid ring vacuum pump) manufacturer that is solidly engineered, competitively prices and stringently checked in accordance to ISO 9001:2008 standards. The extensive experience in designing waterring vacuum pumps has enabled us to understand the fundamentals of vacuum as well as system and its integration, help devise highly engineered end products that are used nearly 75% of all industries in India and still continues to provide broad vacuum solutions to variegated industries span the globe. WHERE THIS WATER RING VACUUM PUMP CAN BE USED? 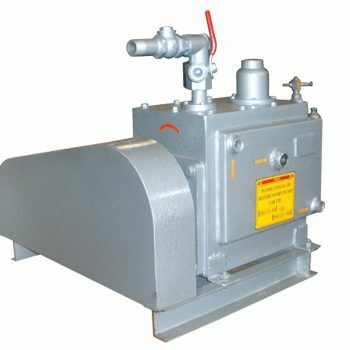 Our water-ring vacuum pumps are integral for variegated factories that require a device or a machine to remediate lands, desalinate sea water, vacuum filtration, extracting moisture, removal of water from the pulp during paper processing, mineral beneficiation, ash handling and even to distill products. In addition are used in power plants, pharmaceutical, petrochemical, health sectors and food manufacturing segments in process plants main stream condenser evacuation system, evaporative coolers, laboratory analysis, distillation columns, chemical reactors, etc. How this water ring vacuum pump functions? This water ring vacuum pump is easy to operate and works with a sealant required in its operation. As this vacuum pump uses water as a sealant, is called water ring vacuum pump. When this vacuum pump is rotated this water forms air seal within the spaces between impeller vanes, thus forms compression chambers that trap the air penetrating into pump repeatedly through the inlet port. The entire process repeats and as a result helps in the creation of a vacuum. What is the reason behind rigorous demand of this water ring vacuum pump? Apart from waterring vacuum pumps, other pumps are featured for only vacuum creation, whereas water ring vacuum pumps are featured to function as gas compressor as well. These water ring vacuum pumps compress gas with its impeller rotating mechanism and thus useful for miscellaneous applications. WHAT ARE THE IMPORTANT FEATURES OF OFFERED WATER RING VACUUM PUMP? Our offered water ring vacuum pump has the capability to pump out foam that is generated from cooling liquids, used when grinding parts and units. Another exclusive feature of our offered water ring vacuum pump is it can be employed to clean filtration tanks too. Configured to be environment friendly and eliminate pollution. All the water ring vacuum pumps incorporate mechanical shaft seals as standard practice. The offered water ring vacuum pump is available with either shell & tube or plate type heat exchanger for utmost heat transfer competence and minimum cooling water requirement. 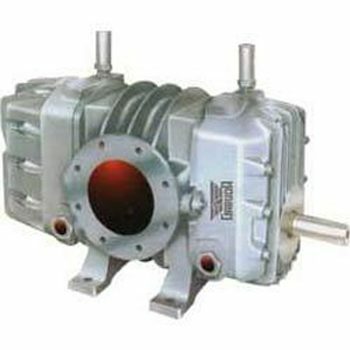 The water ring vacuum pump has a balanced rotor running close clearance without any metallic contact with other parts. No lubrication is required that means oil free air or gas regulation. The offered water ring vacuum pump competent to regulate hot and saturated vapors effectively. The cool seal water is used to condense vapors. The compression of the air is attained by rotating ring radially. The offered water ring vacuum pump capable to handle dust, fibers and foreign matter with seal water. The employment of pressurized gland system ascertains leakages of atmospheric air into the pump. Solid particles are eradicated through unloaded valves, thus augmenting life of the pump and minimizing overall maintenance. Low water consumption & power consumption. The outer matter penetrating into the pump is constantly removed while the pump is in working condition. The pre compressed air resulted in a non pulsating vacuum. WHAT ARE THE ADVANTAGES OF WATER RING VACUUM PUMP? In which material the water ring vacuum pump is available? To fulfill water ring vacuum pump requirement of miscellaneous industries, we manufacture water ring vacuum pump is available in cast iron, ductile iron, 304 stainless steel, 316 stainless steel, bronze, aluminum bronze material. The different alternatives available in the water ring vacuum pump are mentioned below. Rotor and Control Plates in Stainless Steel with Stainless Steel Shaft. Rotor and Control Plates in Bronze with Stainless Steel Shaft. All parts in Bronze with Stainless Steel Shaft. What types of water ring vacuum pumps are available? To suit the demand of variegated industry need, we as a water ring vacuum pump manufacturer has precisely designed 5 different types of water ring vacuum pumps at the competitive rates. Here, we have mentioned features of the each water ring vacuum pump to help select appropriate one for an individual. What is Single stage water ring vacuum pump? A single stage water ring vacuum pump has an impeller with blades adjoined to a center hub, placed in a cylindrical body, but offset from the middle. The impeller sits between two end plates which have formed cut into them called ports. As the pump requires a water to create a vacuum, water is filled in the center of the body prior to starting of the pump. So when the pump starts, the impeller slings the water sealant by centrifugal force, to the outside of the body, creates a ring of water on the outside walls of the body. Due to the offset position of the impeller, some of the blades of the impeller immerse in the liquid, whereas other remains outside of the liquid. The empty space area is sealed off between the water and impeller blades, known as impeller cell. As the liquid move away from the center hub, acting as a liquid piston to form a larger cell and is the suction of the pump, drawing in air, gases or vapors through the inlet port on the sides of the impeller. As the impeller cell passes the inlet port and move towards the discharge port, the water is enforced back toward the center hub of the impeller. While the impeller cell passes the discharge port, the compression is at its peak and the gases together with some water sealant are exhausted through the discharge port to atmosphere. What is double stage water ring vacuum pump? A multi blade impeller on a shaft is placed eccentrically in a cylindrical housing to devise a two stage water ring vacuum pump, wherein water is filled in the center of the body prior to starting of the pump. As the shaft turns, a water ring is generated by the centrifugal force caused by the rotation of the impeller. This force holds the liquid ring against the inner wall of the pumping chamber. 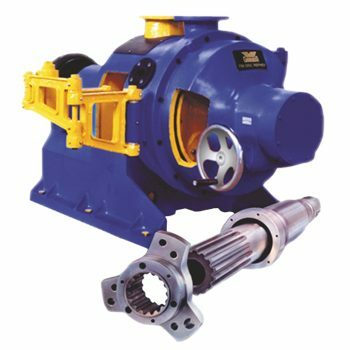 Due to the eccentric position of the impeller in the pumping chamber, the depth of entry of the blades into the water ring reduces and increases on the rotation of the impeller, thus the cell volume increases on the inlet port side, generating vacuum. On the discharge port side, cell volume decreases as the blades move into the water ring, resulted in an increase in the pressure until discharge takes place through the discharge port. Interestingly, the discharge from the first stage does not discharge to the atmosphere, instead, the first stage discharge through manifold leads to the second stage and through a discharge port located in the intermediate plate between the first and second stage impellers. The same process repeats itself in the second stage, allowing deeper vacuum and at last discharging to atmosphere. 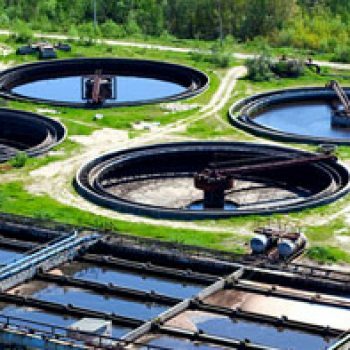 Single-Stage vs. Two-Stage Water Ring Pumps, which is better? In the single stage water-ring vacuum pump, suction and compression have been achieved in one revolution; such a single stage water ring vacuum pump can operate to just 26” HgV to 29” HgV. On the other side, a two stage pump is just two of these operating series, wherein the discharge of the first stage goes into the suction port of the second stage. If we compare based on the efficiency, then manifestly two stage pump has better efficiency at higher vacuum levels than a single stage pump. This two stage water ring vacuum pump can operate at vacuum levels greater than 20” HgV. So, if you are handling solvents at higher vacuum levels than 23” HgV, two stage water ring pump is an ideal choice.